Retail operators at The Ogden and Juhl, downtown high-rises with a combined 30,000-plus square feet of ground-floor retail, have renewed leases or are expanding, while two new retailers — Cultivate Community and Flock &Fowl — have signed new leases to begin operations in the coming weeks. A third retail destination, The Corner Market, recently opened. The Ogden is more than 67 percent sold, while Juhl was just brought to market with for-sale residences, according to Vaknin. “That’s a combined built-in audience of residents living in more than 600 homes who enjoy the convenience of retail, restaurant and neighborhood services without having to leave their building,” Vaknin said. Renewing leases at The Ogden are Oddfellows, a lively video nightclub; Bombshell, a vintage-inspired beauty salon offering hair, nails and skin care services; and Rachel’s Kitchen, serving fresh, high-quality and delicious food with a gourmet touch at affordable prices. Flock &Fowl, a popular eatery known for its signature Hainanese Chicken Rice and fresh approach to all things chicken, is planning its second location inside a 2,546-square-foot space on the ground floor of The Ogden. Proprietors Sheridan Su and Jenny Wong operate the original Flock &Fowl on West Sahara Avenue close to Golden Steer Steakhouse. Su and Wong are also known for their original hit concept Fat Choy inside the Eureka Casino. An opening date for Flock &Fowl at The Ogden has not yet been set but is expected this fall. Juhl, a multibuilding community that spans an entire city block in downtown Las Vegas, boasts more than 20,000 square feet of thoughtfully curated ground-level retail space collectively referred to as The Promenade at Juhl. Classic Jewel, a popular cocktail lounge that pays homage to Vintage Vegas while serving up new spins on classic cocktails, is expanding, adding another 1,000 square feet. The Corner Market, a community convenience store, recently opened, providing daily essentials with quick but healthy food offerings. And a new lease was recently signed for Cultivate Community, a nonprofit organization that originally began as an arts program to sponsor large public murals in downtown Las Vegas and the Arts District and the brainchild of Shane Terry of Taproot Holdings Inc. Terry’s plans for Cultivate Community at Juhl include a rotating retail collection of local showcase artists that are part of the organization’s larger mural projects to provide them a space to feature and sell individual works. 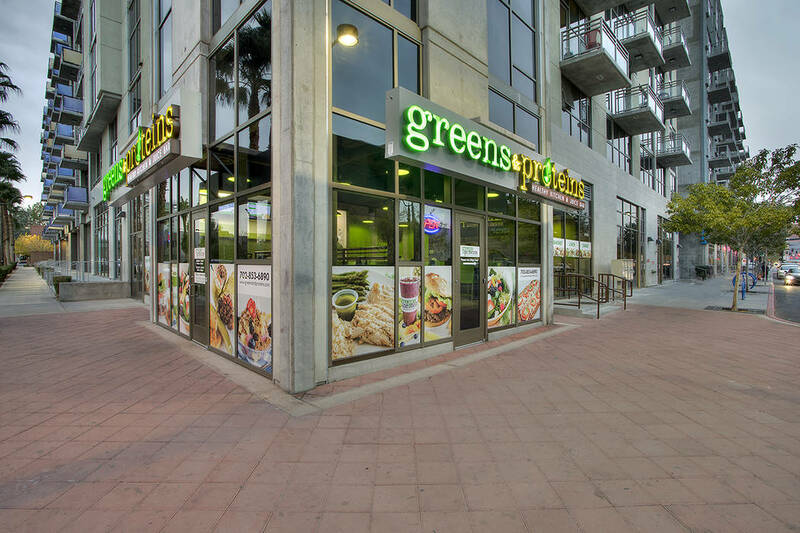 Other retailers at The Promenade at Juhl include Greens &Proteins, a modern, family-friendly café featuring a menu full of healthy comfort foods, vegan, raw and vegetarian options and a smoothie and fresh juice bar; Le Pho, a Vietnamese kitchen specializing in fast, fresh and simple dishes by owner Chef Khai Vu; A/V Boutique, specializing in home theater retail and design; Downtown Décor, featuring eclectic and esoteric home furnishings and décor; JAECI, a jewelry store featuring a unique collection of inspirational jewelry; Get A Haircut, a California-based men’s barber shop that combines classic cuts with classic rock; and Galerie Miscre8, an urban gallery and supply store that combines street art with fine art. Juhl encompasses a high-rise, midrise, brownstones, live/work spaces, retail spaces and a warehouse-style loft building. Many of its spaces can be customized via scores of floor plan configurations ranging from 600 to 2,200 square feet. Amenities include an al fresco screening room; two-story fitness facility overlooking the pool and spa; 10th-floor wine patio, dining deck and fire pit; 24-hour security; gated parking structure with assigned resident parking; full-service concierge; and onsite maintenance services. The Ogden is a 21-story tower in the heart of Las Vegas with residences that feature upgraded detail, including new lighting, hardwood floors, granite countertops and stainless-steel appliances and enhanced amenities including a Sky Deck, social lounge, fitness center and refreshed rooftop pool. The Ogden offers flexible financing options, including Veterans Affairs- and Fannie Mae-backed loans. Available homes at The Ogden range from a two-bedroom, 1,180-square-foot residence priced from the mid-$300,000s to a three-bedroom-plus-den 2,044-square-foot home starting in the low $500,000s.